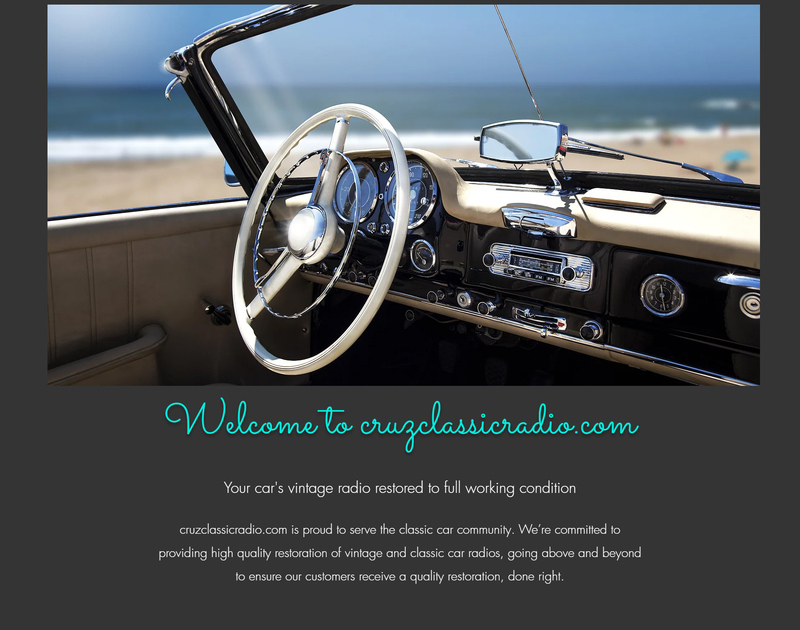 At Cruz Classic Radio we expertly repair and upgrade old car radios. 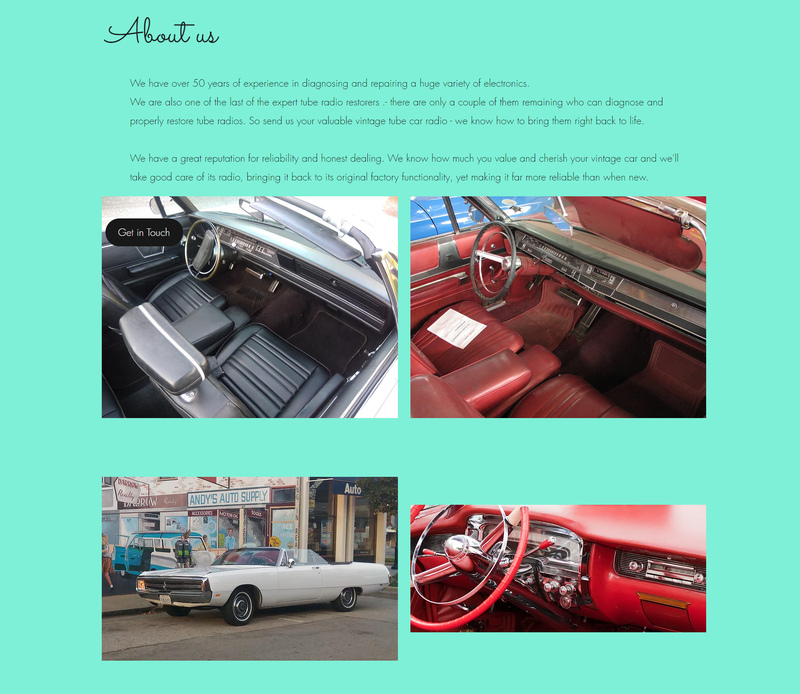 Almost all American vintage car radios, antique car radios, classic car radios can be made to sound again as if they were new, even tube radios. We do not repair the cassette or 8-track mechanism, since parts for those are often extremely difficult to find. However, we will make the radio section work like new. Then you can convert all your old 8-tracks and cassettes to MP3 and play them via your new Audio-In jack. No more tapes slipping or jamming (or getting eaten!) 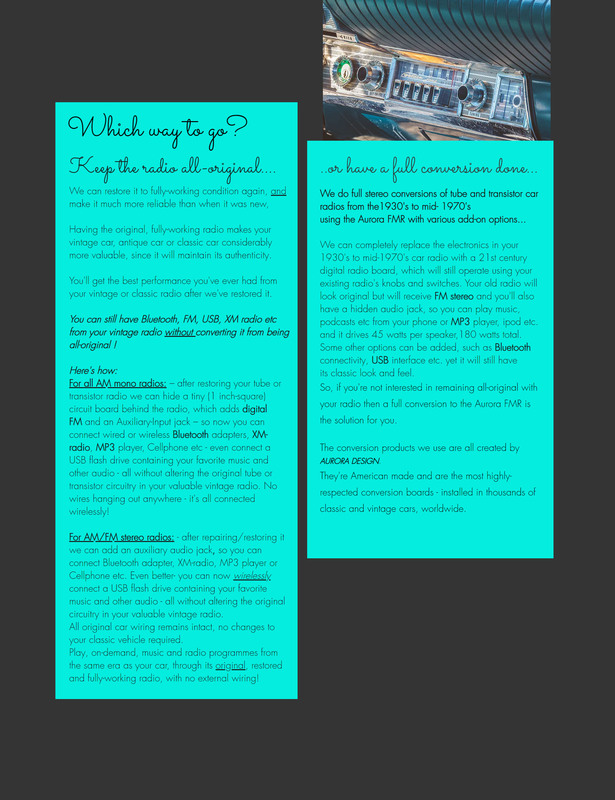 For radio services in Caifornia or radio services USA wide just call or email us. NOTE: we do not service Becker or Blaupunkt radios, as they are difficult to repair, their circuit boards being tightly packed into the case and often inaccessible for servicing. 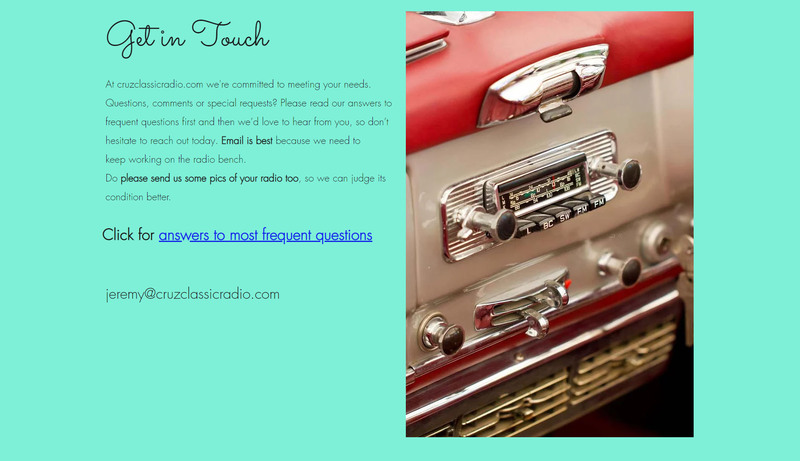 We specialize in repairing and upgrading 40's thru mid-70's American-made radios for classic cars. 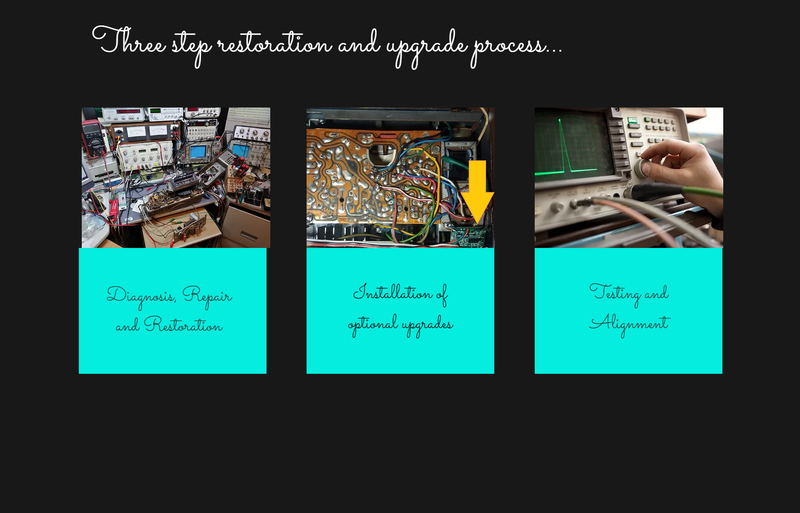 We will repair and re-calibrate your antique auto radio, and can also do car radio conversions (add FM to your AM radio, for example), keeping your vintage car, antique car or classic car radio all-original, still mono, yet much more practical, with a dial full of FM stations and with Audio-In and super-clear sound. 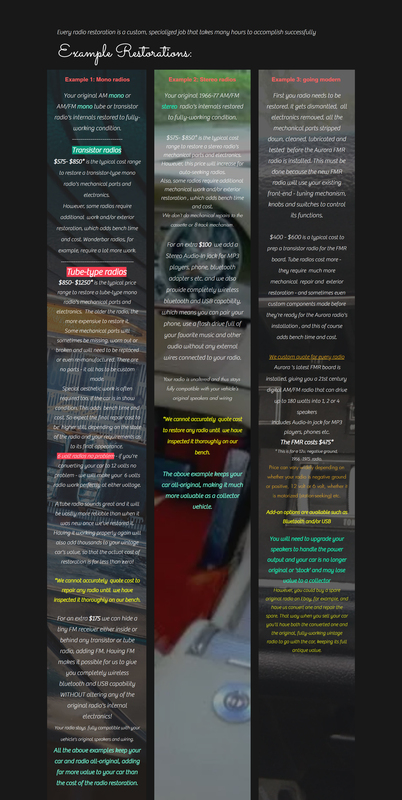 So for classic car radio repair come to us.